Winnipeg Jets forward Patrik Laine has 25 goals so far in 2018-19. If you stopped reading right now, you might think that things are going according to plan for the 20-year-old Laine this season. Unfortunately, that hasn’t been the case. Laine has 25 goals and nine assists for 34 total points in 50 games. His season has been mired by lengthy cold streaks, troubling performances and questions surrounding what kind of contract he deserves ahead of becoming a restricted free agent following the current season. His season has been a series of ups and downs. Consider these wild splits. Outside of the month of November, Laine has been disappointing offensively. His insane stretch of 18 goals in 12 games during November masks some of the more troubling issues. One of those issues is his recent inability to create offensive chances for his teammates. On the year, Laine has nine assists. That’s well below pace to reach the 28 he had in 2016-17 and the 26 he had last year. Worse, he has the fewest assists of any NHL player who has 20 or more goals at this stage of the season. The advanced stats reveal that Laine has been mostly underwhelming at even strength. The bulk of his starts have been in the offensive zone (62.5%) and yet his Corsi For % (meaning how often the team had control of the puck) sits at just 47.6%. His PDO, which combines the Jets’ shooting and save percentage when Laine is on the ice, checks in at 98.3. With a mark of 100 being recognized as a good target, Laine is behind that goal. The eye test is one that can’t always be counted on, but it too reveals that Laine is going through some significant struggles. The swagger and confidence seen in his early career is almost completely absent. He used to look like he truly believed that he could score almost every time he touched the puck. Now, he’s sitting back more and letting things develop around him rather than stepping in and dictating what happens with the puck. Fans have suggested a lack of physicality may also be the issue. It’s also possible that the NHL has adapted to Laine while Laine has struggled to adapt to the evolving NHL. That may be a bit of an exaggeration as he could still flirt with a 40-goal season assuming things get turned around soon, but it would partially explain why Laine is suddenly looking so ineffective on the ice. The term “one-dimensional” has been used a decent amount to describe his current approach. 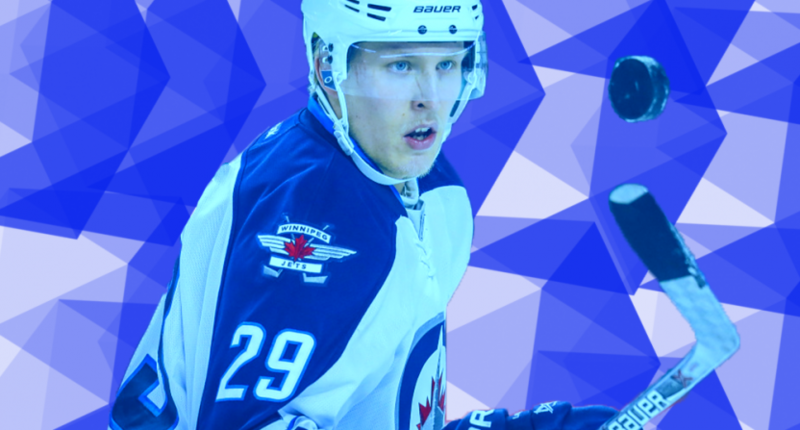 Are the Jets worried about Laine? They’re not saying anything publicly if they are. Jets head coach head coach Paul Maurice didn’t sound too concerned earlier in January, via Yahoo Sports. Maurice isn’t wrong. What team wouldn’t love to have a 20-year-old forward who is on pace for 40ish goals in a year where many are saying he’s struggling? Laine’s performance this season has made it difficult to forecast what kind of contract the Jets should be preparing for him this summer. After making just $925,000 in 2018-19, he’s due for a hefty raise. But where does he fall in among the NHL’s elite? Will he settle for something that resembles more of a bridge contract, or will he require a large multi-year deal? That’s the difficult question the Jets will have to figure out. Keep an eye on this space. Laine has all of the talent in the world to put up another crazy month that will make us forget about all of his previous struggles. The Jets’ playoff hopes this season might hinge on whether or not he can recapture that magic more consistently.